Mcintosh, R. Dale and Kevin James. "Calgary Philharmonic Orchestra". The Canadian Encyclopedia, 04 March 2015, Historica Canada. https://www.thecanadianencyclopedia.ca/en/article/calgary-philharmonic-orchestra-emc. Accessed 18 April 2019. In 1985 the CPO's regular performing venue became Jack Singer Concert Hall in the Calgary Centre for the Performing Arts (now EPCOR Centre for the Performing Arts). Calgary Philharmonic Orchestra. An amalgamation (1955) of the Calgary Symphony Orchestra and the Alberta Philharmonic, the latter established earlier in 1955 under the Dutch conductor Henry Plukker (b Dornbirn, Austria, 14 May 1908). Plukker served as the CPO's conductor until 1962. Initially the CPO presented 10 concerts annually at the Palace Theatre and some school programs. Later the orchestra played in the Alberta Jubilee Auditorium. By 1963, when Haymo Taeuber became conductor, attendance had grown from an average of 900 per concert to over 2500. Under Taeuber (b Graz, Austria, 1 Jan 1908; a pupil of Felix Weingartner and a former conductor of the Vienna Boys Choir and of orchestras in Austria, Turkey, and Iran), junior, intermediate, and senior youth orchestras were established to encourage and train young musicians. Taeuber was succeeded in 1968 for one year by the noted pianist José Iturbi (b Valencia 28 Nov 1895, d Hollywood 28 Jun 1980), during whose term the orchestra for the first time augmented its ranks with 27 full-time musicians (increasing that number to 45 by the 1977-8 season). After Iturbi and a year of guest conductors, Maurice Handford (b Salisbury, Wiltshire, England, 29 Apr 1929, d there 16 Dec 1986) led the orchestra 1970-75, followed again by guest conductors; Franz-Paul Decker was artistic adviser and principal guest conductor 1975-7. Arpad Joo (b Budapest 1948, a protégé of Kodály) was music director 1977-84, succeeded by Mario Bernardi. By the 1990-1 season the orchestra had 63 full-time players and a season of 42 weeks, including lecture concerts; chamber music concerts; a pop series led by principal pop conductor Richard Hayman, Susan Haig (staff conductor 1988-91, succeeded in 1991 by André Jutras), and guest conductors; a 'Young People's Series'; '20th Century Classics' (begun in the 1986-7 season); as well as company-sponsored, community, and school concerts. The orchestra has also accompanied Calgary Opera productions. The Calgary Philharmonic Chorus was formed in 1963 by Haymo Taeuber who conducted the 70-voice choir until his departure in 1968, when it was disbanded. Lloyd Erickson conducted a revived chorus, active 1970-5; after another hiatus 1975-7 the choir was again revived under Erickson's direction. Terence Fullerton became chorusmaster in 1979. In 1988 the choir comprised 125 singers. The orchestra has also collaborated with the Vancouver Bach Choir and the CBC Vancouver Orchestra. 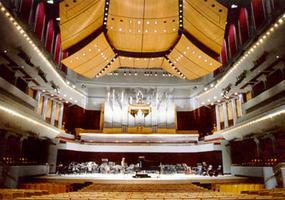 In 1985 the CPO's regular performing venue became Jack Singer Concert Hall in the Calgary Centre for the Performing Arts (now EPCOR Centre for the Performing Arts). Bernardi is credited with raising the orchestra's artistic standards and with promoting its recognition as an artistically mature orchestra of national importance; under his direction it has broadcast extensively on CBC radio and has made its first recordings. In May 1989 it toured to Thunder Bay, Ottawa, Joliette, St Catharine's, Hamilton, Toronto, and Kitchener. Guest conductors have included Kazuyoshi Akiyama, Raffi Armenian, John Avison, Boris Brott, Harman Haakman, Pierre Hétu, the Soviet conductor Yuri Lutsiv (on exchange with Plukker in 1961), Uri Mayer, Simon Streatfeild, and the orchestra's concertmaster (1975- ) Cenek Vrba. Guest performers have included Robert Aitken, the Canadian Brass, Claudio Arrau, Corey Cerovsek, Constance Channon-Douglass, Vancouver Cliburn, Jane Coop, Janina Fialkowska, Maureen Forrester, Judith Forst, Rivka Golani, Ida Haendel, Betty-Jean Hagen, Moshe Hammer, Angela Hewitt, Marek Jablonski, Anton Kuerti, Louise Lebrun, Louis Lortie, Lois Marshall, Allan Monk, Sandra Munn, Igor Oistrakh, Jon Kimura Parker, Itzhak Perlman, Albert Pratz, Shauna Rolston, Robert Silverman, Steven Staryk, Henryk Szeryng, Bernard Turgeon, Ronald Turini, and George Zukerman. Among works commissioned by the orchestra are Richard Johnston'sPortraits (1972, premiered 29 Jan 1973), Harry Freedman'sNocturne No. 2 (1975, premiered 24 Apr 1977), Allan Bell'sConcerto for Percussion and Orchestra, (1984, premiered 21 May 1986 with Tim Rawlings as soloist), R. Murray Schafer'sLetters from Mignon (1986, premiered 11 Apr 1987), and William Jordan'sConcerto for Piano and Orchestra (1988, premiered 28 Jan 1989 with Charles Foreman as soloist) and Variations for Orchestra (1990, premiered 7 Jun 1991). Other Canadian works performed by the orchestra include 1958-9, Champagne'sPaysanna; 1963, Leonard Leacock'sThe Lonely Lake; 1975-6, Pépin'sRite du soleil noir; 1976-7, Archer's Sinfonia; 1977-8, Kenins'Violin Concerto, and Mercure's Triptyque; 1983-4, Chatman'sCelebration, Beckwith's A Concert of Myths, and Schafer's Son of Heldenleben; 1987-8, Gellman'sSymphony in Two Movements; 1988-9, Koprowski'sEpitaph for Strings and Flute Concerto; and 1989-90 Anhalt'sSonance•Resonance (Welche Töne?) (commissioned by the CPO jointly with the TS and the MSO). 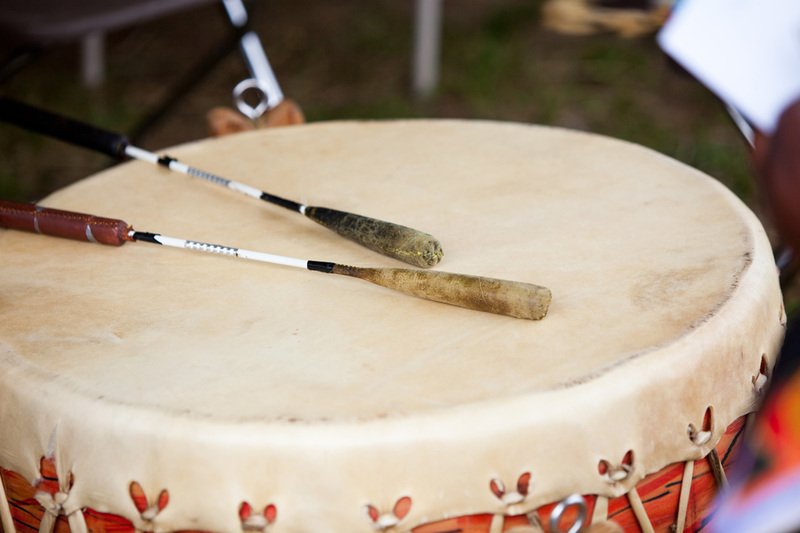 The orchestra was recognized for imaginative programming of contemporary works by PRO Canada in 1981, 1982, 1987, and 1988; and by SOCAN in 1989 and 1990. The orchestra has been managed by Gladys Deutsch 1960-3, Mrs John R. McKay in 1963, Max L. Malden 1966-70, N.N. Herrington 1970-2, Kurt Trachsel 1972-7, and Alan Graham 1977-9, succeeded by John Shaw, who retained the position in 1990. The orchestra's program magazine, Prelude, began to be published in October 1975 and continued in 1991. Calgary Philharmonic OrchestraThe Calgary Philharmonic Orchestra features a concert calendar, profiles of musicians, and descriptions of musical instruments.